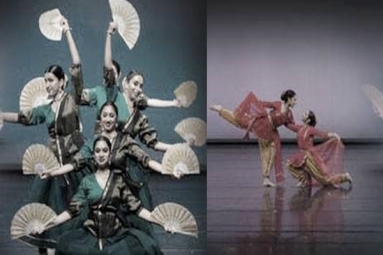 Dhvani presents Ramya Harishankar & the Arpana Dance Company in Celluloid Classics. From the beginnings of ‘celluloid’ in India, song and dance was an integral part of movie magic. Legendary artistes like Vyjayanthimala (singer/actress), Gopi Krishna (dancer/choreographer) and M.S. Subbalakshmi (singer/actress) and several others were involved in films. With the influences of western music in the 60’s, the classical traditions parted ways with the film industry and/or popular genre of music and dance. There has been a revival of the relationship in recent years with Carnatic music singers like Bombay Jayashree and Unnikrishnan singing in movies and the legendary Birju Maharaj choreographing for the Oscar entry ‘Devdas’ and more recently in ‘Viswaroopam’.